Searching for a plumber in Plantation, Florida, well your search is over. Great American Plumbing will provide you with a friendly, courteous and knowledgeable plumber in Plantation. We have the knowledge and experience to help you with all of your residential and commercial plumbing needs. 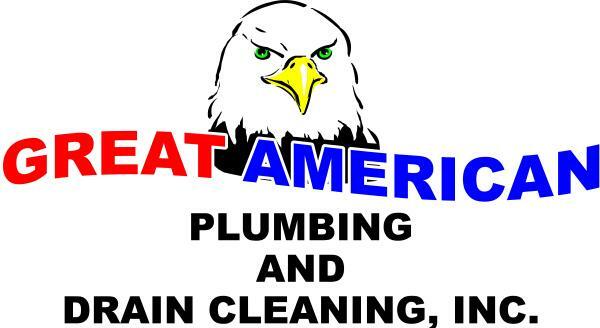 Great American Plumbing serving Plantation, Florida is a family owned and operated business that specializes in all plumbing repairs, drain cleaning and a variety of other services for both residential and commercial customers in Plantation, Florida. We proudly serve Plantation, Florida with prompt and courteous plumbing and drain cleaning services. Fully licensed and insured, Great American Plumbing always does a clean job and offers plumbing services in Plantation, Florida. With over 25 years of industry experience, Great American Plumbing is the name Plantation, Florida has come to trust for all plumbing and drain cleaning needs. Great American Plumbing will provide a friendly, knowledgeable plumber in Plantation for all your plumbing needs in Plantation, Florida, including: drain cleaning, septic tank pumping, grease trap pumping & flood and water damage restoration, backflow testing, backflow certification, backflow repair and backflow installation. Call Great American Plumbing serving Plantation, Florida for a friendly service plumber in Plantation, Florida to help you with any plumbing problem you may have. Our service plumbers have the knowledge and equipment to repair and/or replace most plumbing fixtures, fix leaks and even unclog drains with one visit. Thank you for considering Great American Plumbing serving Plantation, Florida for all your plumbing needs. Remember, hiring a licensed plumber not only protects your health, the health of your family, your Plantation, Florida community, but our nation as well. Great American Plumbing serving Plantation, Florida and all of Broward County and Palm Beach County for all your: Plumbing, drain cleaning, flood service and water restoration, grease trap pumping, septic tank pumping, backflow testing, backflow certification, backflow repairs and backflow installations. Serving all Plantation, Florida and all of Broward County, Florida and Palm Beach County, Florida. Quality Work At A Fair Price! Call Today For Your Free Estimate!